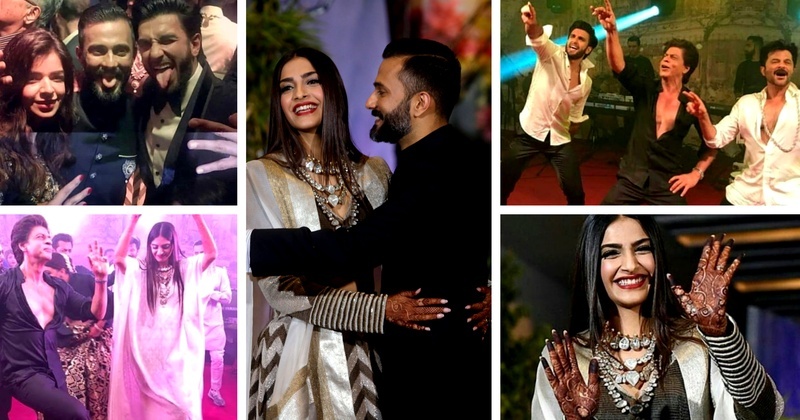 Sonam Kapoor and Anand Ahuja's reception last night was one affair to remember! The Kapoors and the Ahujas were on their feet since morning but showed no signs of fatigue at the reception party that took place at the Leela, Mumbai. In fact, the Kapoor-Ahuja clan was way more energetic at the party and burnt the dance floor (quite literally)! Anand himself seemed to be in his A-game at the reception party. The night saw him shaking his leg as he danced to some hit Bollywood tracks with Salman Khan, Shah Rukh Khan, Ranveer Singh and his father-in-law Anil Kapoor amongst others! Well, that explains the Nike sneakers! These videos of the celebs dancing like no one's watching definitely made my day and we hope it made yours too! #Sonamkishaadi totally lived up to their wedding hashtag - "EveryDayPhenomenal."